The Evil Within 2 has a new gameplay trailer, called “Survive”. Delve deeper into the madness of the STEM world, as you discover new places and enemies within this trailer. The “Survive” video also shows a bit more elements of the story, more than some story trailers, in fact. This is not the first gameplay footage we’ve been shown. More than a month ago, there was the E3 extended gameplay trailer. It isn’t as rich as this one, but it shows some sequences which are not present here. You can also feel the setting from the previous game, present more in the E3 trailer. The newest trailer, “Survive”, shows not only the new areas of the STEM world called Union, but for the first time, we see things from Lily’s point of view. There is also a ton of new stuff, like what seems to be the main villain, the open world, new bosses, and more. There are two names that were mentioned earlier, featuring the villains of the sequel. One is Stefano the Flashy Photographer, and the second is Theodore. With the current tempo of releasing new information, we are bound to discover which one is which soon enough. 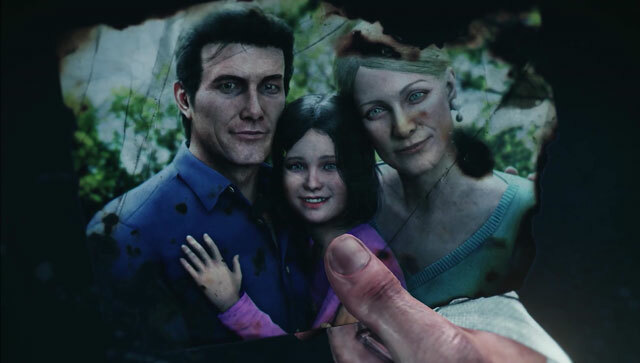 The strongest impact of the “Survive” trailer for me are not the gameplay mechanics, but the story bits. We can finally find out more about Lily and the interaction between her and her father. Her mental state is deteriorating more and more, and it will be interesting to see how it develops now that Sebastian is there. If you are new to The Evil Within 2 story, we’ve done the main plot recap if you want to check it out. The Burst Handgun – This exclusive weapons is available only through The Last Chance Pack and uses handgun bullets that can be found or crafted. Crafting Supplies – Upgrade your go-to weapon, craft additional ammo, or make traps to incapacitate enemies with these supplies, available at the start of your descent into Union. Medical Case – You’ll need to stay alive if you want to save Lily, and these supplies will give you the aid you need to venture deeper into the madness. You can start playing The Evil Within 2 on PS4, Xbox One and PC this October, on Friday the 13th.